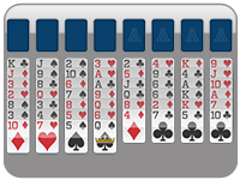 Introduced in the new update, coming soon, 123 Freecell will now be offering another great game for all you freecell lovers! 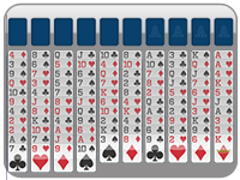 This game is called Two Freecell. 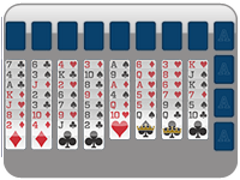 Two Freecell is played exactly like regular Freecell but now you only have two "free cells" to play with! 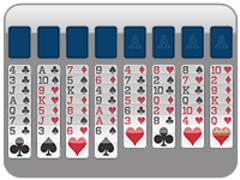 This makes the game much harder! 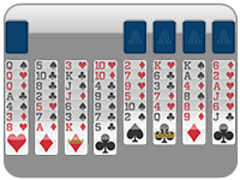 As you know, regular Freecell has a solveable rate of over 99% even though the cards are dealt at random. 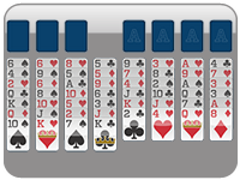 With Two Freecell, though, this number reduces to 78%. Still not too bad! 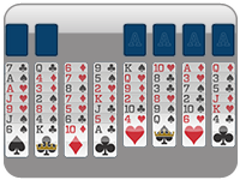 So, take your freecell games up a notch and try Two Freecell, coming this winter!